In honor of Erica’s Birfday I am eating sub par Chinese buffet in DC by myself. I’m not sure why I keep trying Chinese buffets and tempting the fates but I do. 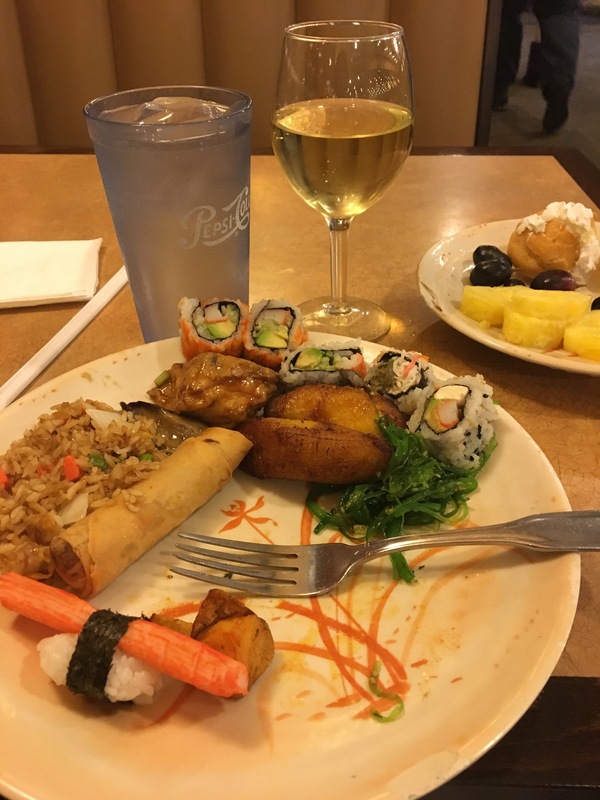 I’m pretty sure Skrivan would let these people know buffet usually indicates warm and does not leave your guests wondering if the sushi is going to revisit your toilet a few hours from now. Time shall tell. Cheers to Scrivans and her Birfday!